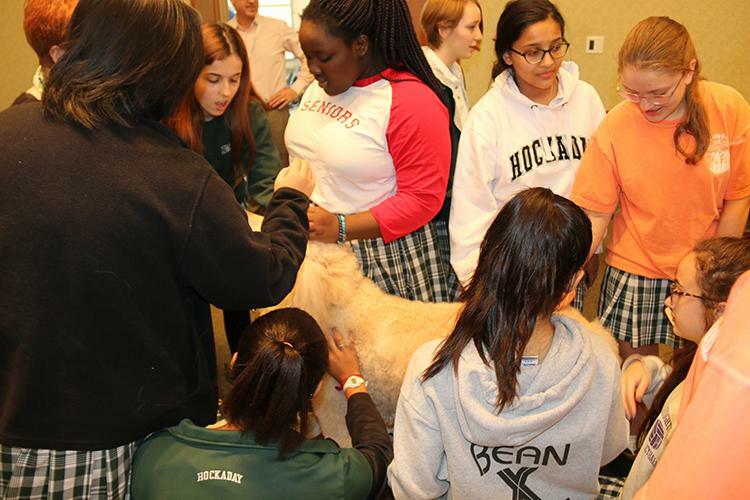 In the midst of all the upper school stress before exams, Hockaday welcomed six fluffy guests to its campus on Friday, March 2. 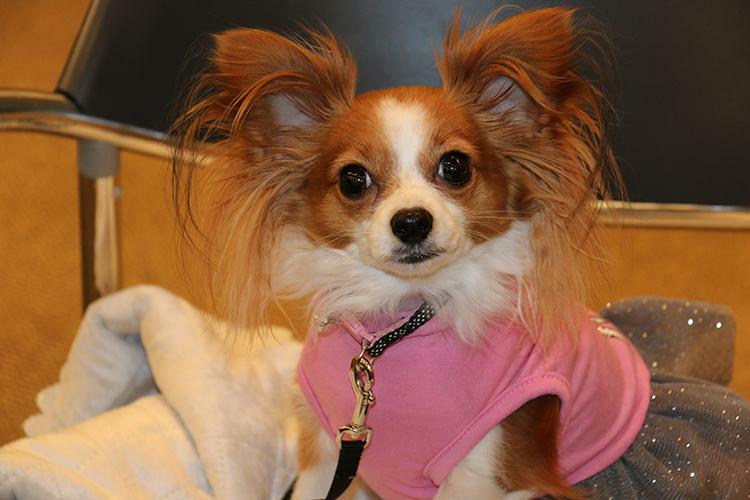 All six of the wagging visitors are registered therapy dogs from Heart of Texas Therapy Dogs. 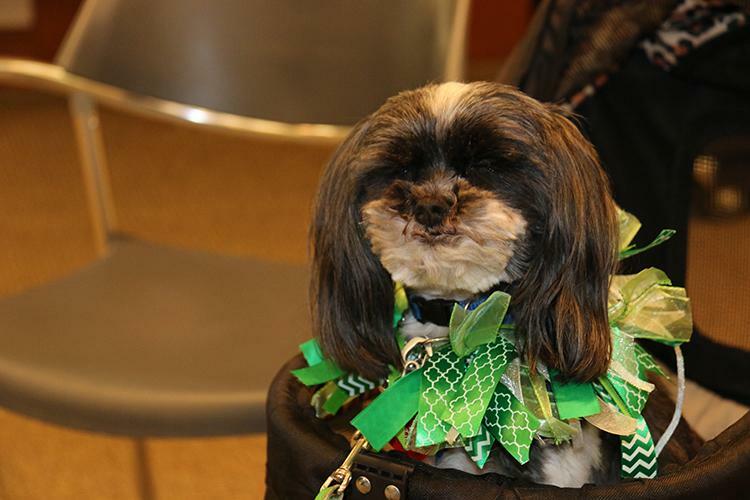 Crowds of people hurried to the LLARC right at 2:30; upon arriving in Hicks Auditorium, they were greeted by Sullivan. 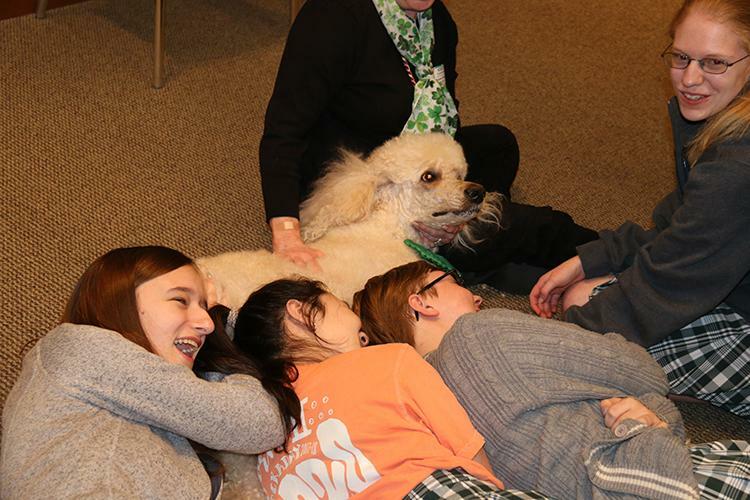 Overjoyed students squeeze in a cuddle with Sullivan, a Standard Poodle. 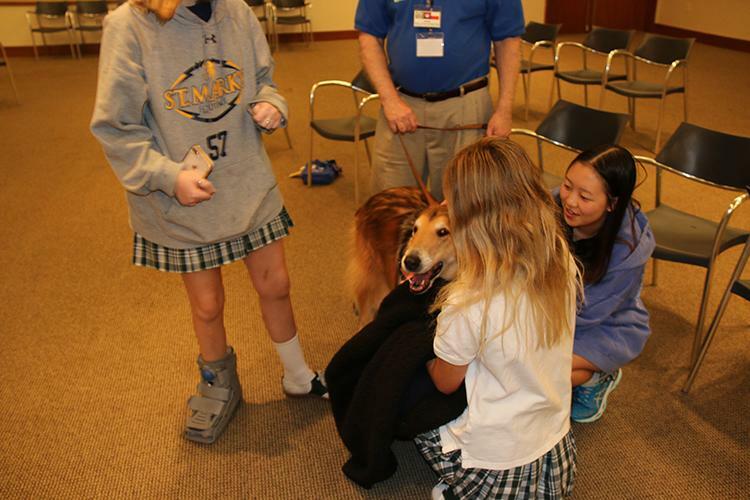 Olliver, a Collie, hugs three students while his owner shared that Ollie is best friends with Hudson, the Great Pyrenees who also came to visit. 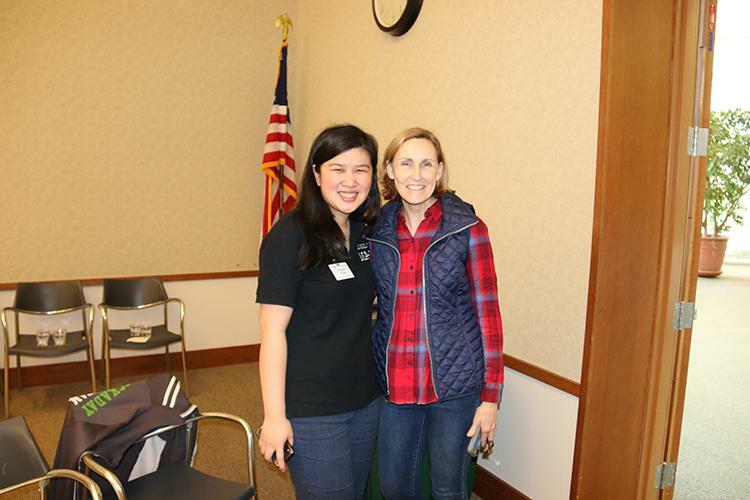 Ms. Chu and Mrs. Calhoun excitedly await students’ arrival in Hicks. 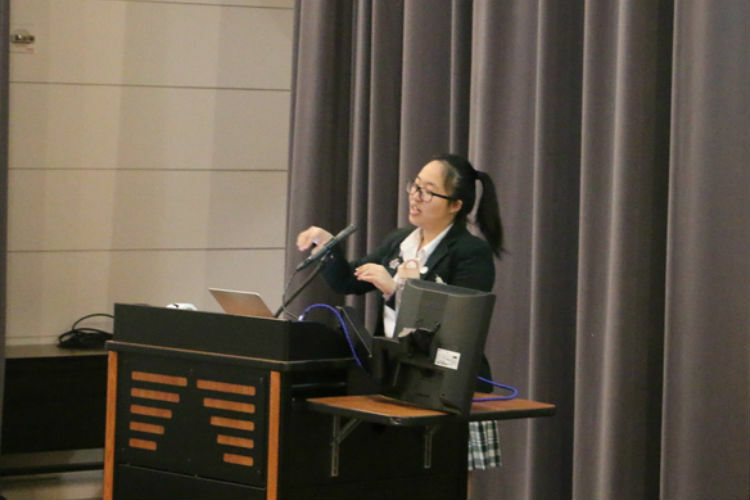 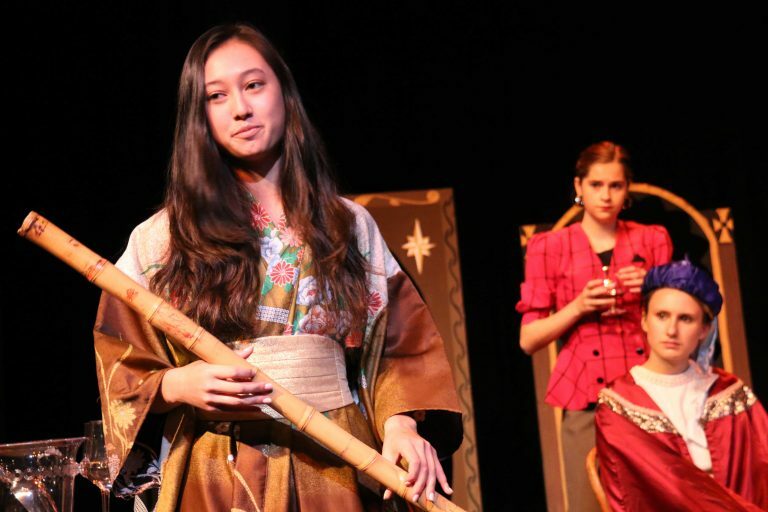 Jessica Chu, Upper School Math Teacher and Form III Dean, organized for six therapy dogs to come play with Hockaday students during Y period as a much needed ‘paws’ from studying. 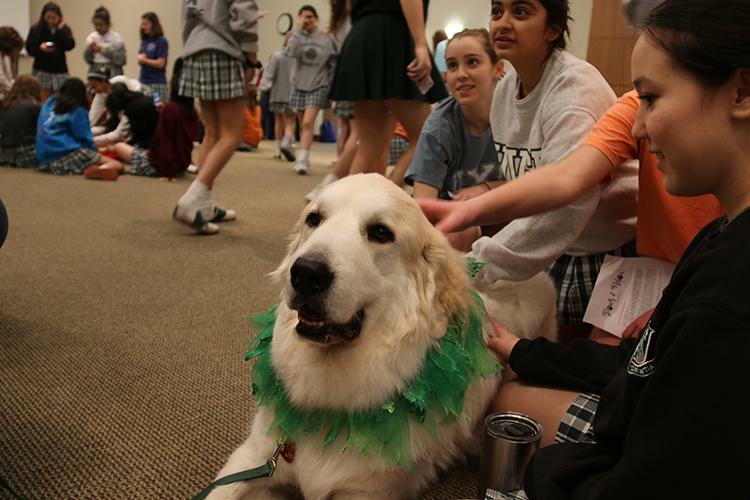 This 115 pound gentle giant lovingly sits and loves on the crowds of students around him. 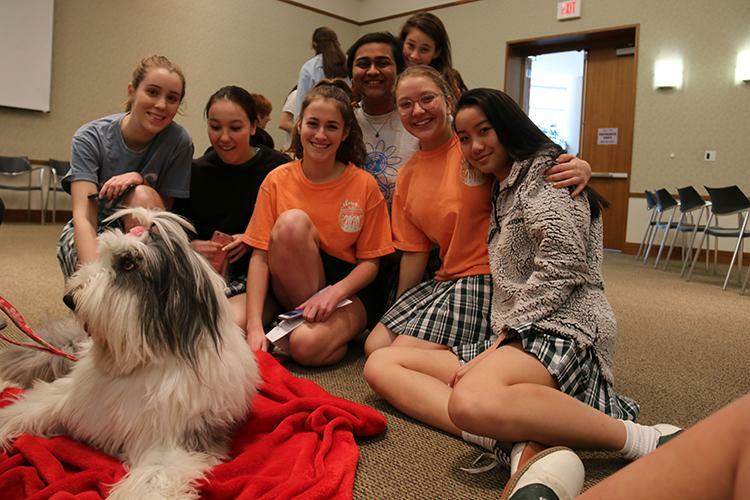 Hattie, the Old English Sheepdog who adorably sported a pink bow, enjoys belly rubs so much, as soon as students stopped petting her, she rolled over again!